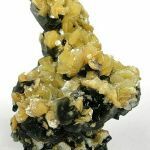 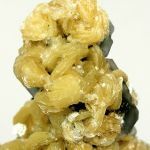 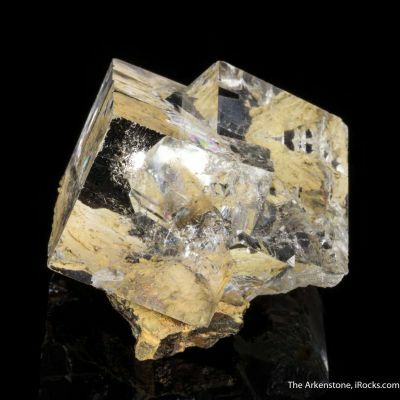 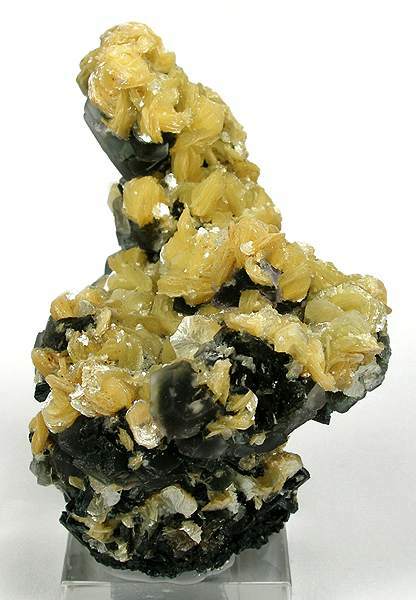 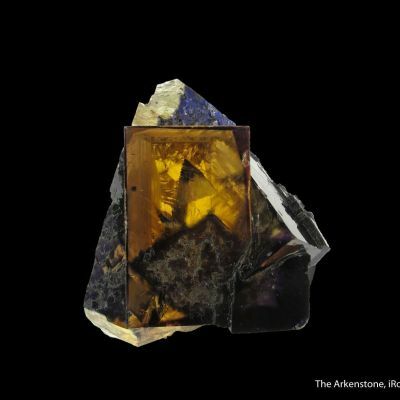 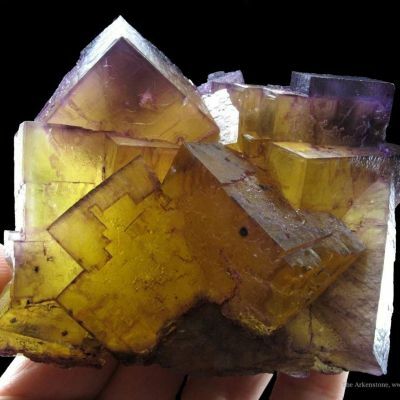 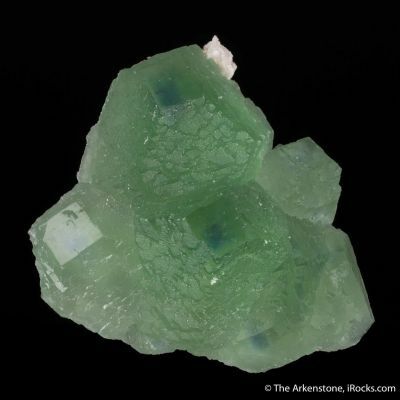 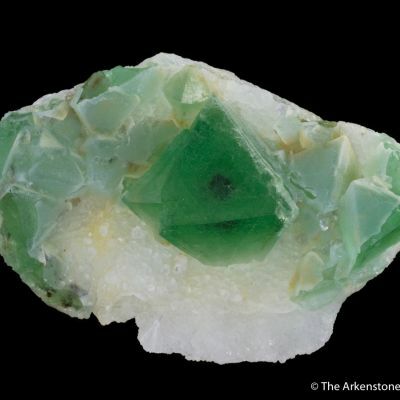 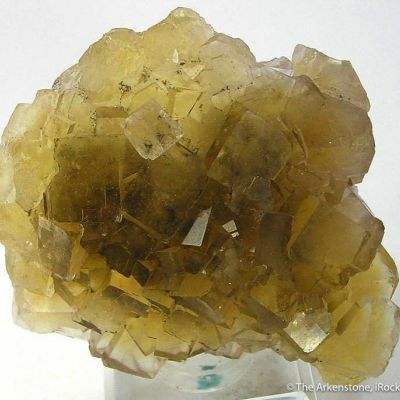 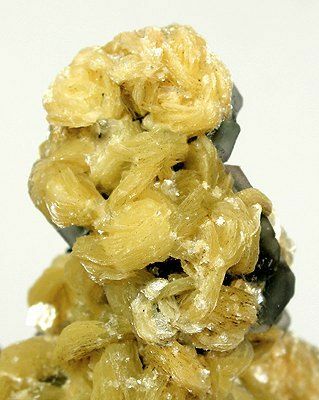 An unusual combination of yellow muscovite crystals, in sharp hexagonal blades, perched upon dark green, etched cubic fluorite. 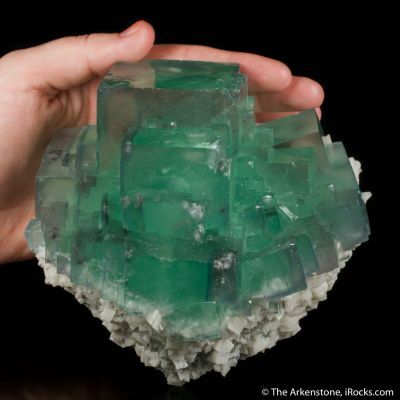 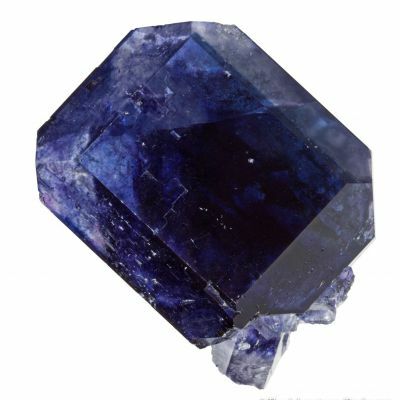 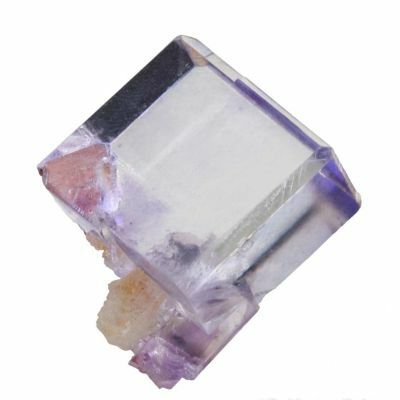 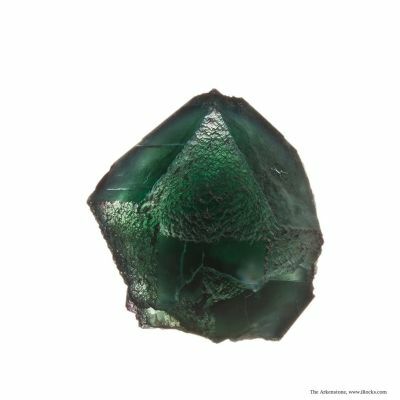 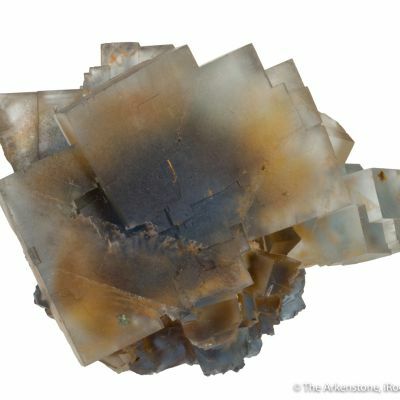 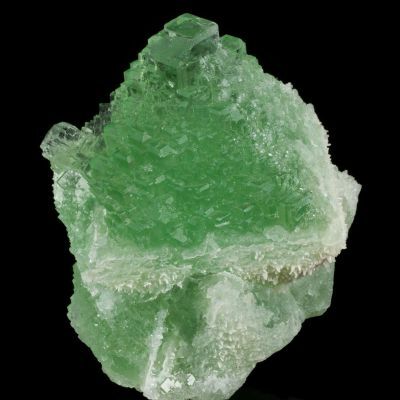 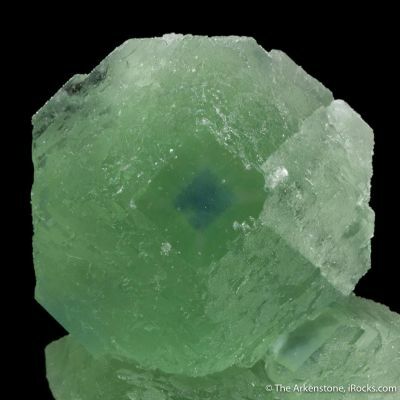 The fluorite is in some cases cuboctahedral, modified on its corners. 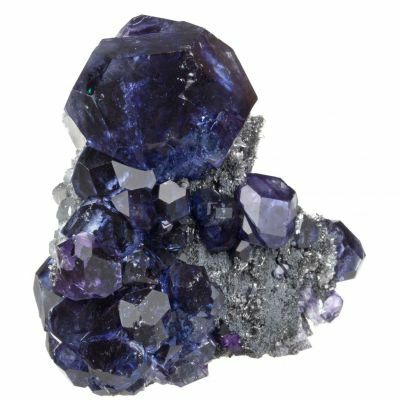 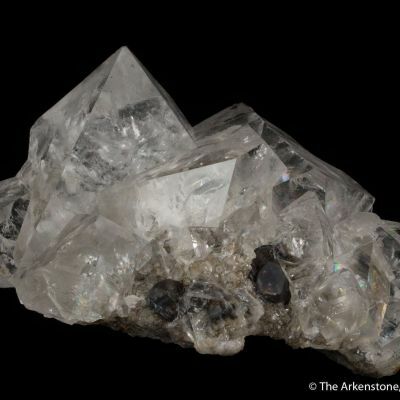 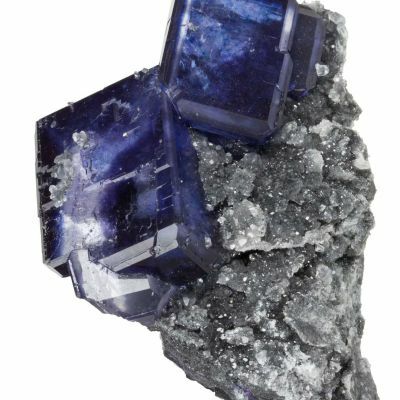 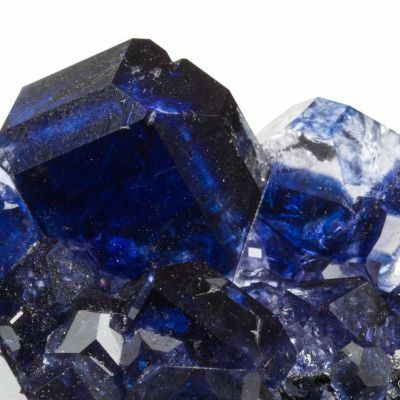 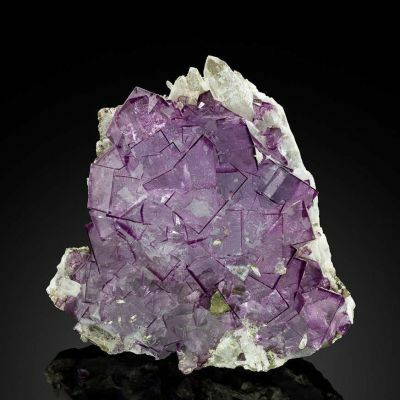 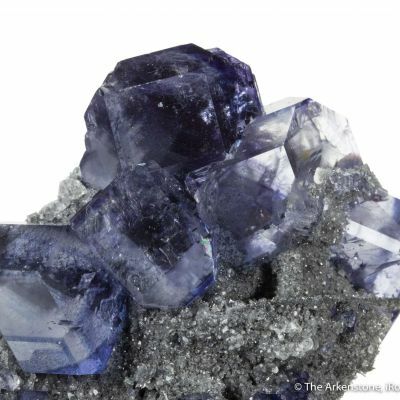 The fluorite is itself in a cluster around a core of slender schorl crystals, some of which can be seen around the periphery. 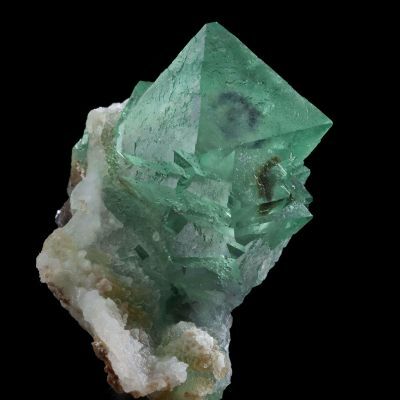 From the noted Erongo specialty collection of Heini Soltau.